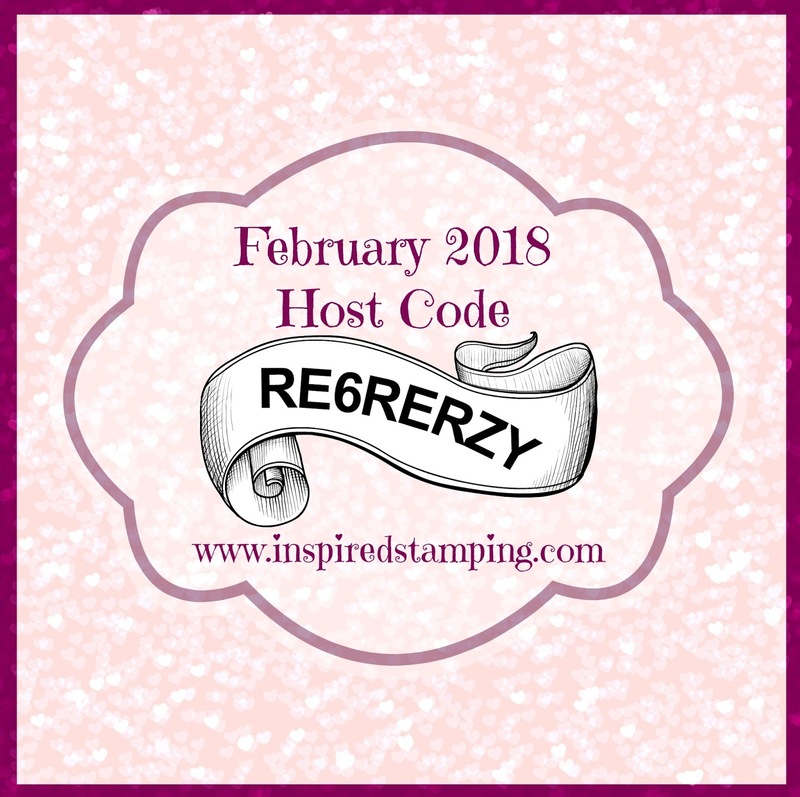 Hello dear stampers! 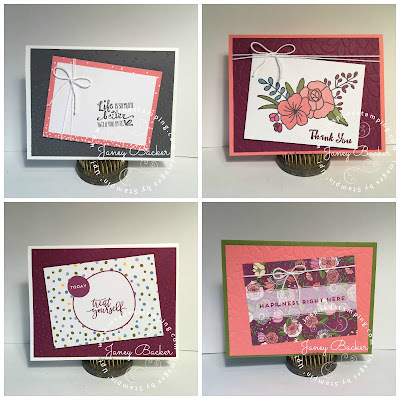 I absolutely love our Sweet Soiree Memories and More card pack. These are designed to make memory keeping in our pocket pages super quick and easy. 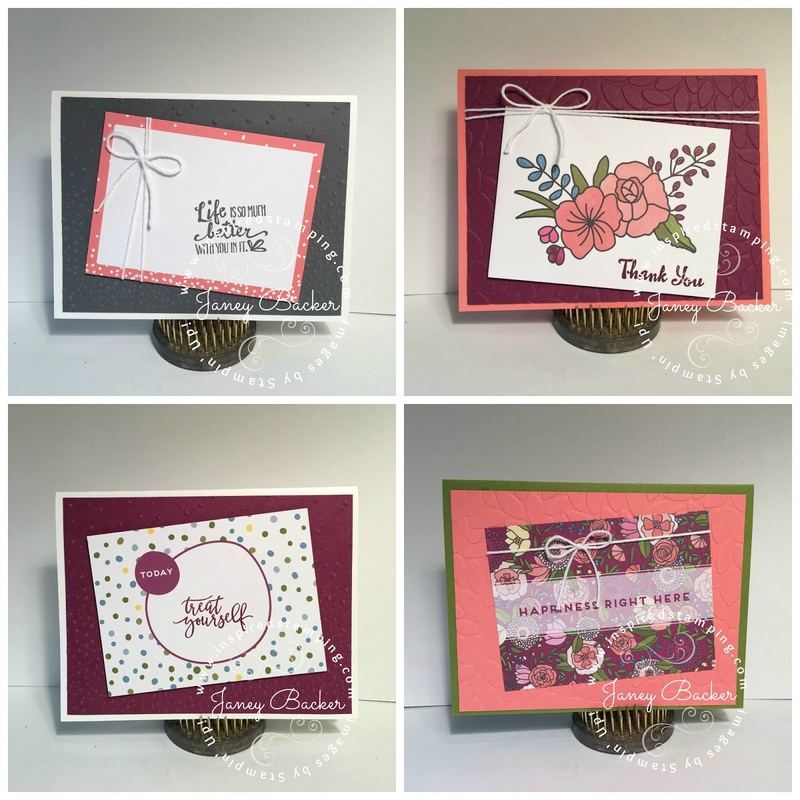 They are also super handy for quick and easy card designs. 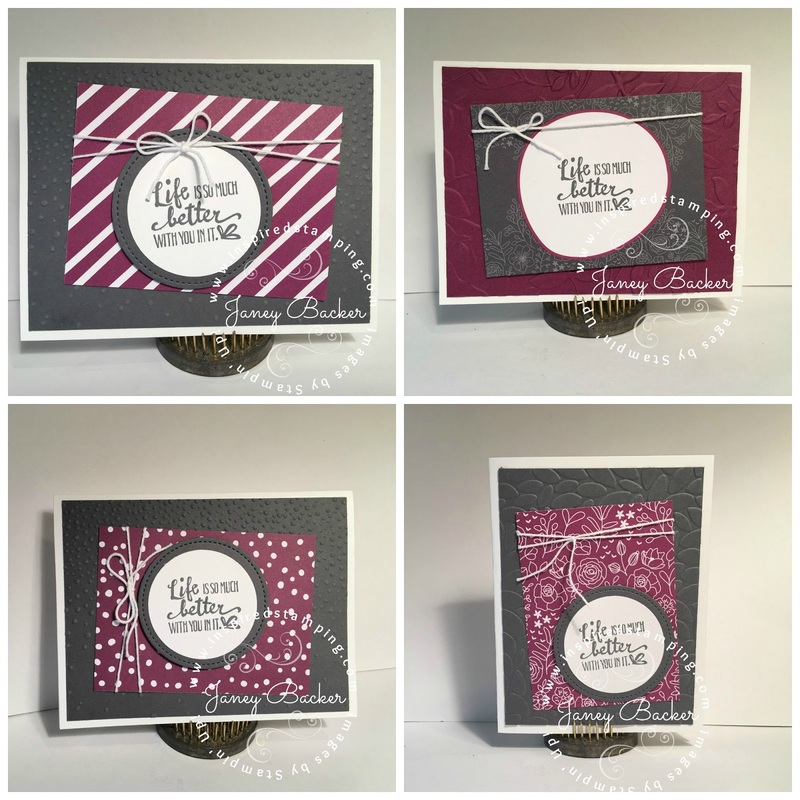 I used the card pack and designed over 60 cards using coordinating colors of card stock, embossing folders, twine or ribbon, stamps, and inks. This is my favorite! 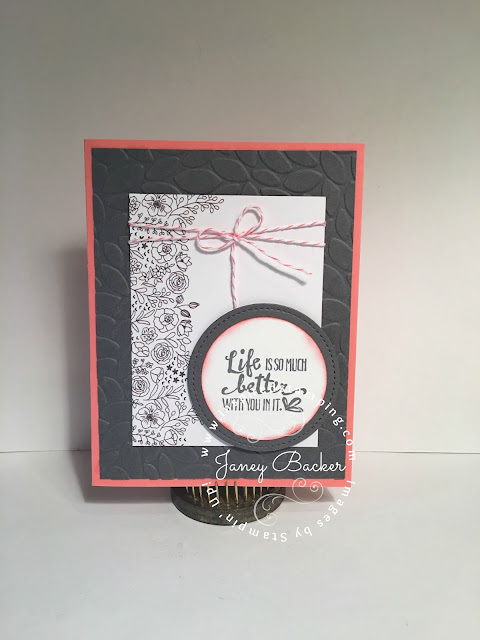 I love the colors, layout, and sentiment! I used sponge daubers to add touches of color to this floral print. 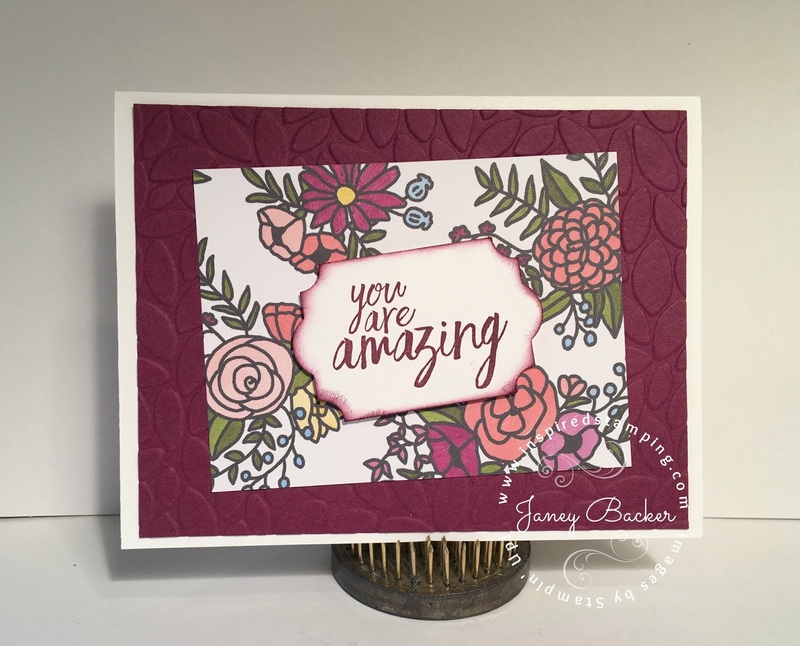 Rich Razzleberry is stunning in this layout. The Whisper White card front embossing accents the pink card. I love the white space that allows the floral print to be the focal point. Here are collages of many more designs. This palette of Basic Grey, Rich Razzleberry, and Whisper White is stunning. Flirty Flamingo is my primary color with Old Olive and Whisper White in this collage. Here are several more fun cards. Sale-a-bration gifts are free with a $50 purchase. 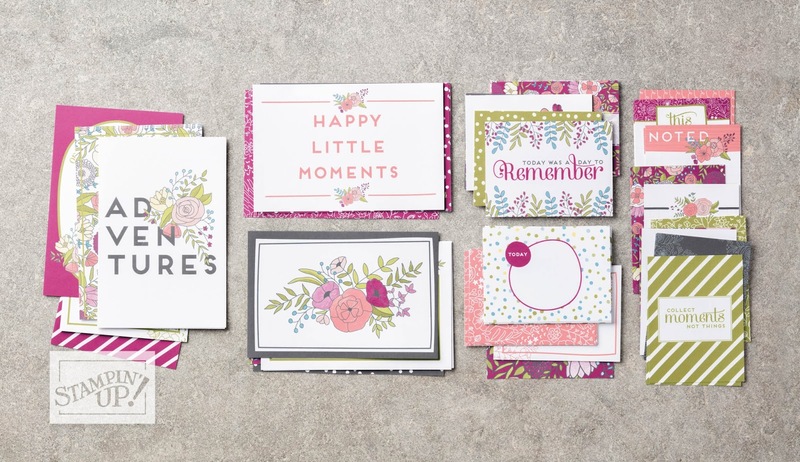 You can qualify for the free Sweet Soiree Memories and More card pack gift (above) when you order $50 of product. The supplies for this project are listed at the end of today's post. This list of products can help you qualify for the free card pack. 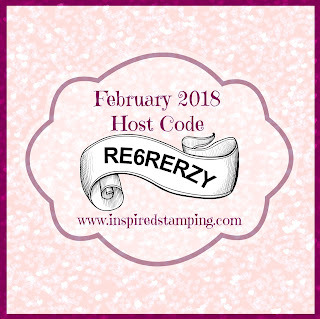 Join me at the Idaho Scrapbook Show on Friday and Saturday, February 2-3. We are at Expo Idaho in Garden City. Admission to the Vendor Hall is only $5 per day.